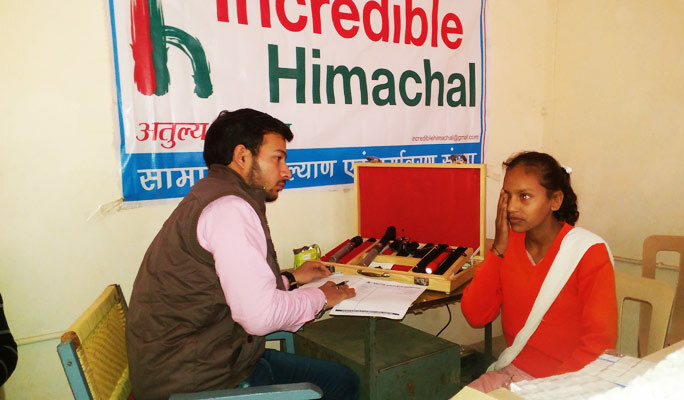 Kathalag: 9 Nov 2016 – Today Incredible Himachal Organised a free Eyes checkup camp at Govt High School Kathalag. In this camp 104 students have their eyes tested. 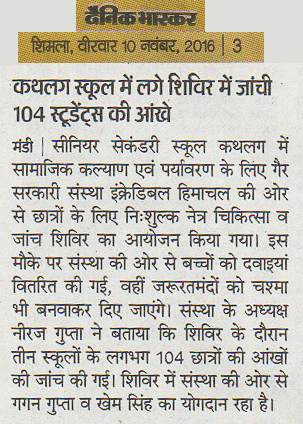 Free Medicines were distributed at camp to students and spectacles will also be provided to needy students. In this checkup 2 more schools were included GMS SainBehal & GMS Padhain. 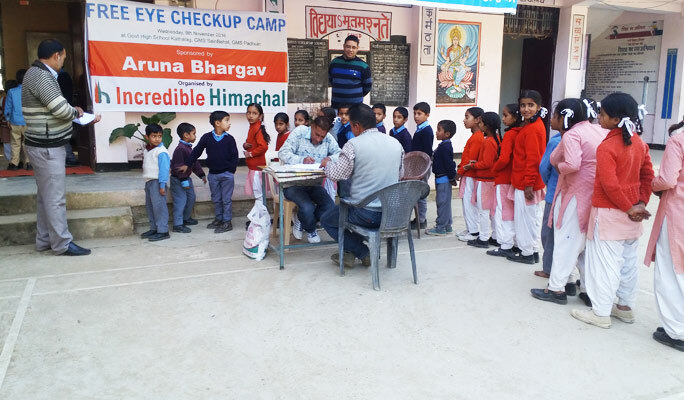 HeadMaster Mr Jitender Gupta ji pays special thanks to incredible Himachal and Mrs Aruna Bhargava for organizing this camp, he says it will help to students to detect any discrepancy in their eyes and can be rectified on Time. Incredible Himachal Pays Special thanks to Mrs Aruna Bhargav who Sponsored this camp with a great Social Cause and make this camp a Huge success.